4/5Wet wet wet but incredible. 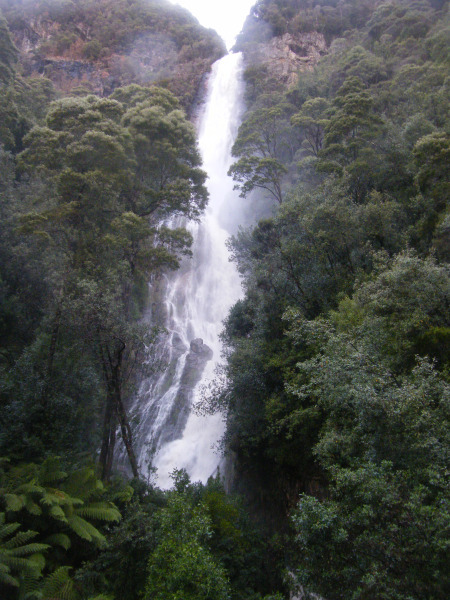 The Montezuma Falls are one of the highest waterfalls in Tasmania at 104 meters. And it shows. The day we came there, it was practically impossible to see them. The water flow was so powerful that approaching the base of the falls made you instantly wet. Like if you just had gotten out of the shower. And the track? It was wet. It was raining. There was mud. 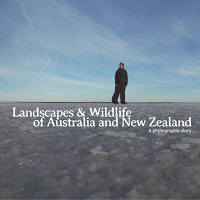 In summary, it was a classic tassie experience, and an awesome one. Trail head: in Williamsford, a ghost mining town 41 49 47 S 145 30 9 E.
By car: follow the Williamsford Rd from the Murchison Hwy (A10), just out of Rosebery. Williamsford and the Montezuma Falls are signed. By public transport: the TassieLink bus stops in Rosebery, on the Strahan-Devonport-Launceston line. But you would have to walk a further 7 kms to the trail head along a dirt road. So not really an option. Facilities at trailhead: drop toilets on the track, 100 meters from the car park. Some shops in Rosebery. The track is following an old railway closed in the 1930s. Sometimes you’ll even see some rails left there to rust. Just think the work people had to do to cut a tramway into those mountains, this will put in perspective your wet feet. Oh yes did I mention that the track was really wet? Like it wasn’t a walking track, it was a spring. But maybe you will have better luck and won’t experience wet feet. At the end of the track there is a viewing platform to see the falls from their base. That is if you manage to get there. After rain the falls are so powerful that you get soaked in seconds. When it’s the case you might want to use the suspended bridge. After the bridge there is a 4WD / mountain bike track continuing and coming back to the Murchison Hwy, but that is a long way on foot.